Dr. Jay Clugston, M.D. (left), and Matt Graham. New guidance on exercise after a sports-related concussion moves past previous recommendations of strict rest and avoidance of stimuli. A new position paper published today and co-authored by Jay Clugston, M.D., UF Athletic Association team physician, suggests that after a period of initial rest, light exercise appears safe and may actually bolster healing. The position statement by the American Medical Society for Sports Medicine, or AMSSM, is its first update on the state of concussion management since 2013 and appears in today’s issues of the British Journal of Sports Medicine, or BJSM, and the Clinical Journal of Sports Medicine. Other key recommendations are more individualized treatments and not “playing through” a concussion with continued exertion in the first minutes and hours post-injury. “If you play through it or don’t recognize it, you’re going to take longer to get better,” said Clugston, associate professor of community health and family medicine and a member of the McKnight Brain Institute. 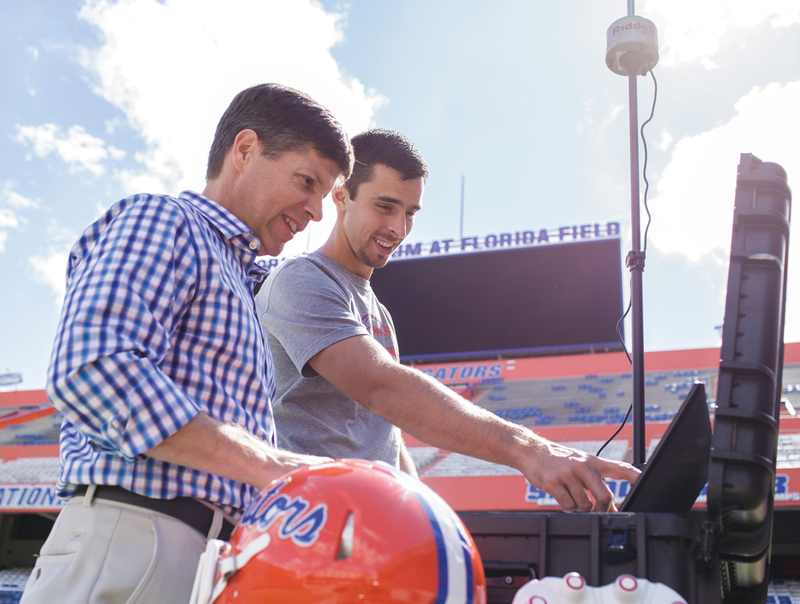 Clugston is also director of the UF Student Health Care Center Sports Concussion Center and serves on the operating committee for The Concussion Assessment, Research and Education Consortium, or CARE — the world’s most comprehensive concussion study. Click here to read the position statement in the BJSM. Click here to read an AMSSM news release on the position statement.